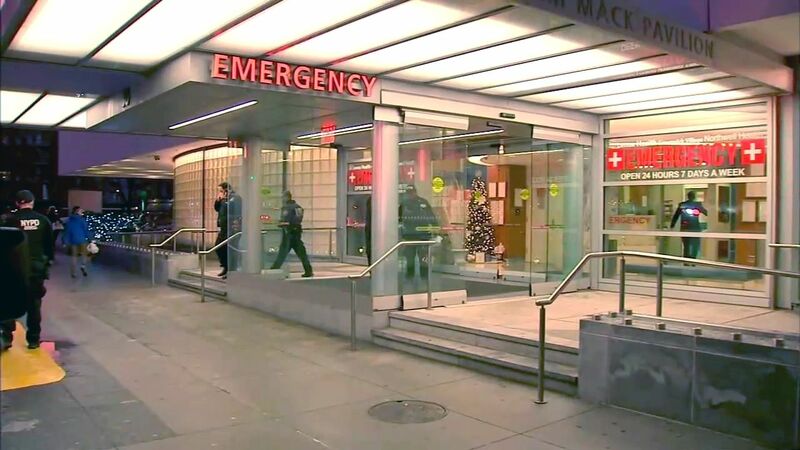 WEST VILLAGE, Manhattan (WABC) -- The NYPD is searching for a prisoner that escaped custody from Lenox Hill Healthplex in the West Village Thursday afternoon. It happened at around 3:30 p.m. near 7th Avenue and West 12th Street. Police quickly descended on the area, some using K-9 units to search for him. Others checked various businesses and buildings for surveillance video. The suspect has been identified as Daniel Ortiz, 31. He's described as having a light complexion, approximately 5'6", 130 lbs., brown eyes, brown curly hair, last seen wearing a dark colored pea coat, dark blue jeans, chocolate boots, no shirt, leg shackles, attached to one side, and tucked inside of his boot and possibly bleeding from the wrist. He is walking with a noticeable limp. He was in custody for petit larceny. This is a developing story. Keep checking abc7NY for the latest on this developing story.